In Complete Shotokan Karate the video is the instructional backbone of the training cycle. The videos give the the structure of the way to perform techniques and perfect them in our style. Whether you are a new student or someone with prior experience in another style, we want you to demonstrate techniques in the way we have given in our video instruction. So in your observation and training you need to pay attention to the details of how things are being done. A simple way to see where you are at with any techniques is to video yourself and review what you are doing in comparison to the training video. Observe and correct yourself. When you are ready, create your exam video and we will examine your belt test videos. We are certainly looking for students to demonstrate a high level of understanding in the belt level they are testing in. 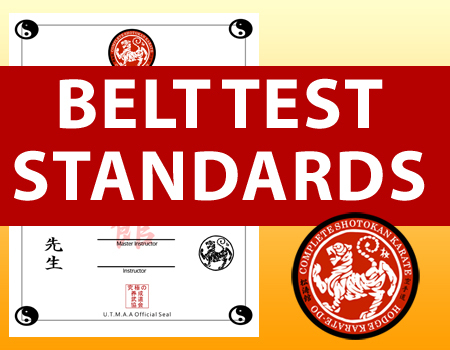 Here is a list of some of the most important items reviewed in belt test examinations. (1) Stances – We look very closely at stances. You need to work on stances and make sure they are right. Proper stance are important in proper delivery of techniques, balance and posture through Kata. (2) Posture – Have your head up (chin up), back straight, body torso aligned in proper perspective to the target (opponent). (3) Focus and Intent – Look at you opponent at all times, have focus, intent and deliver power and energy with each technique. (4) Preparation, execution and targeting of techniques – We demonstrate how we want techniques performed. In the video instruction there is preparation, execution (delivery) and target information demonstrated and given. (5) Kata is a choreographed fight, not a string of techniques done one after the other. I look for all the above throughout the Kata. Feedback is given to the student for improvement of techniques. Certain items may be requested to be worked on and resubmitted for review before approval to move on to the next level is given. There is no review fee involved for resubmitted video examinations. So you see the cycle continues until we get things just the way they need to be. This is the same process that is used in the physical dojo applied to the distance training world. We hold a high standard for those training with us whether you are in our physical dojo or distance training with our streaming or DVD home study courses. 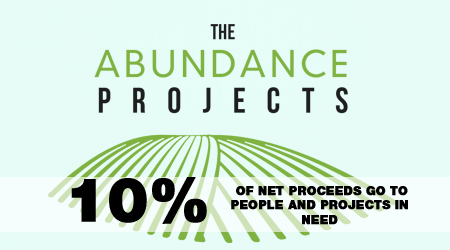 This process works really well and creates a path of success for us all. A black belt is someone who simply never gives up no matter what stands in their way. I like your guidance book and how can i get one for my personal training? Glad the guidance is useful for you. What book are you referring to in this situation? Let me know so I can point you in the right direction. Thanks! I don’t think it’s possible to put enough emphasis on the idea that the stances MUST be good. Human nature (and the module-type format of the Complete Shotokan program) often leads to us thinking “heyyyy…I passed that aspect, no need to practice it ever again!” Wrong! 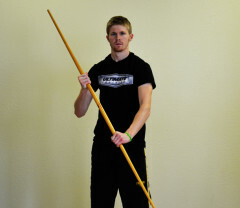 For example, the front stance of a green belt and the front stance of a black belt are TWO DIFFERENT QUALITIES of stances, and are graded accordingly. The stances of course show up over and over again as well … not only in the techniques, but in the kata. Without a strong foundation in the stance, you cannot hope to succeed in the “higher” katas – the left-turn-to-front-stance-with-gedan-barai that you did for Taikyoku shodan test might have been okay … but the same move in Heian shodan needs to be crisp, balanced, and forceful. Another reason we need to continually practice ALL techniques is that the goal is for them to become ingrained in muscle memory. If you’re ever in a kumite competition (or God forbid, a street fight), you don’t have TIME to think about your up-block, you have to do it quickly and without thought. You can only achieve this through repetition. whichever ones you’re currently working on, repeat them over and over. 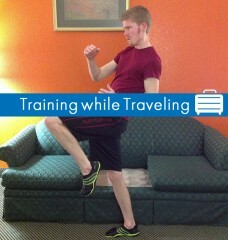 Now try combining it with something you already “know” – like a side-punch+traveling side-kick combo. 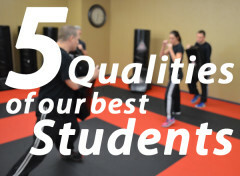 Don’t forget to regularly work on ANY elements that Sensei Jon recommends in your review. – start easy – Taikyoku shodan. Do it slowly, intentionally, ensure all techniques are crisp. Go through each of the kata you have learned at least once, following the same principles. Now move onto the current ones you’re working on for your belt. Again, slowly at first … perform each individual technique correctly. 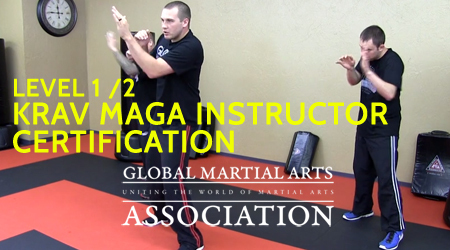 Then, remind yourself that a kata is a choreographed battle against invisible enemies – do it normal speed, blocking and striking those enemies with all of your force – repeat, repeat, repeat.